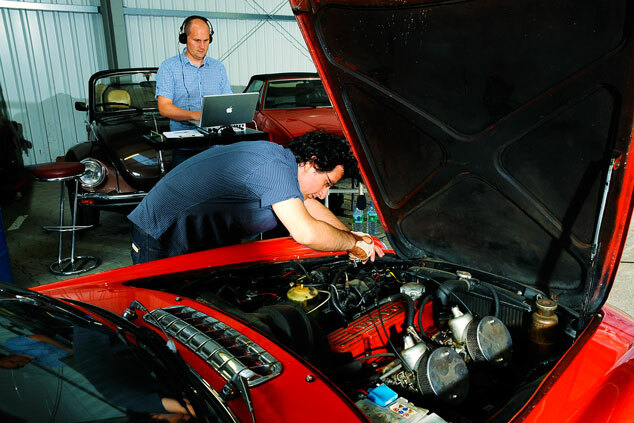 • The car orchestra consisted of a selection of 80 vehicles: classic cars, supercars, racing cars, roadsters, limousines and luxury vehicles, microcars, American cars, pickups, buses and trucks (Mercedes-Benz, Ferrari, Maserati, Porsche, Jaguar, Aero, Rolls Royce, Cadillac, Trabant, etc.). • A fourteen-month casting of approx. 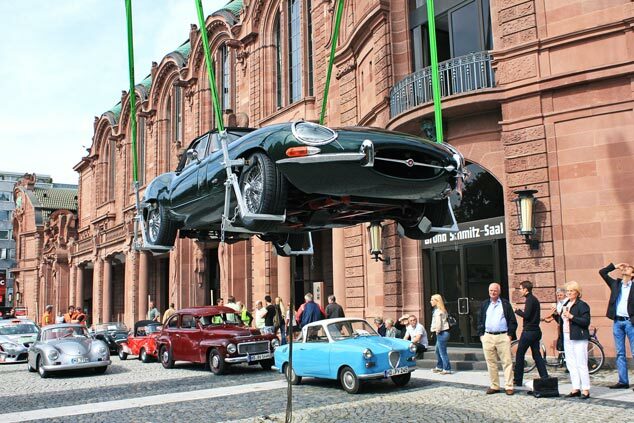 125 cars took place all around Germany; 230 volunteers took part. 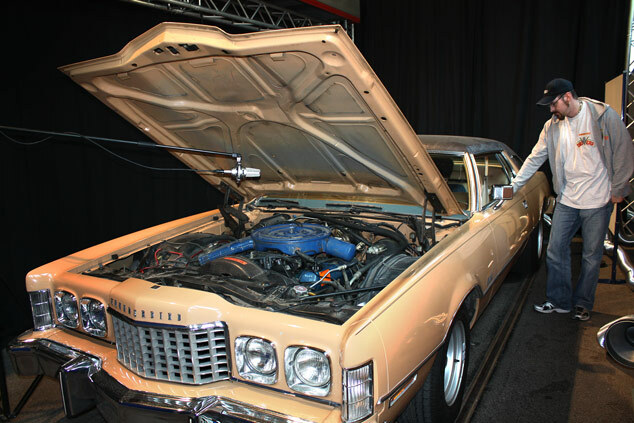 The 80 cars were chosen based on their individual sound characteristics. 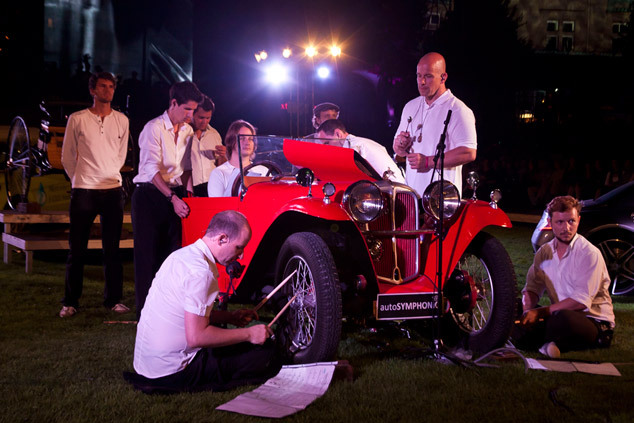 • A group of 120 youths, who received a full-year’s free instruction in drumming were selected from those participating in numerous castings held in collaboration with the Baden-Württemberg Popular Music Academy, in order to allow them to elicit sounds from the automobiles on hand at the event. 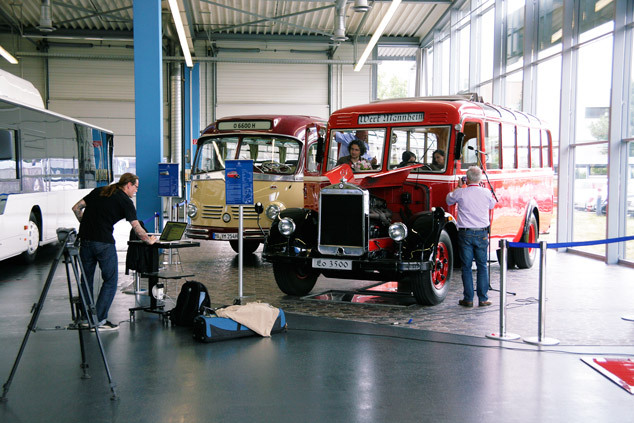 275 pupils and students from the City of Mannheim participated at the selection castings that took place at eight high schools. 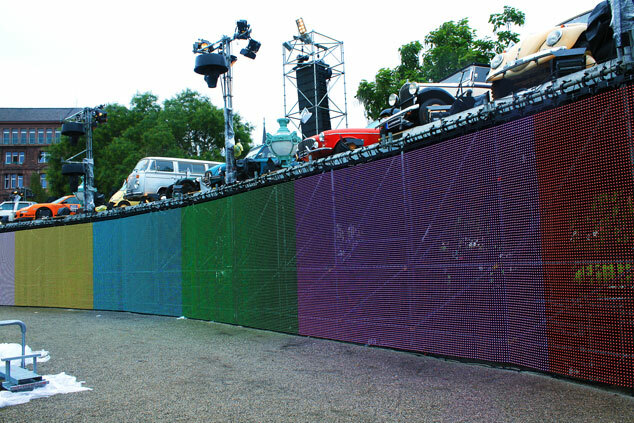 • The car orchestra was divided in several groups, placed on 5 stages. 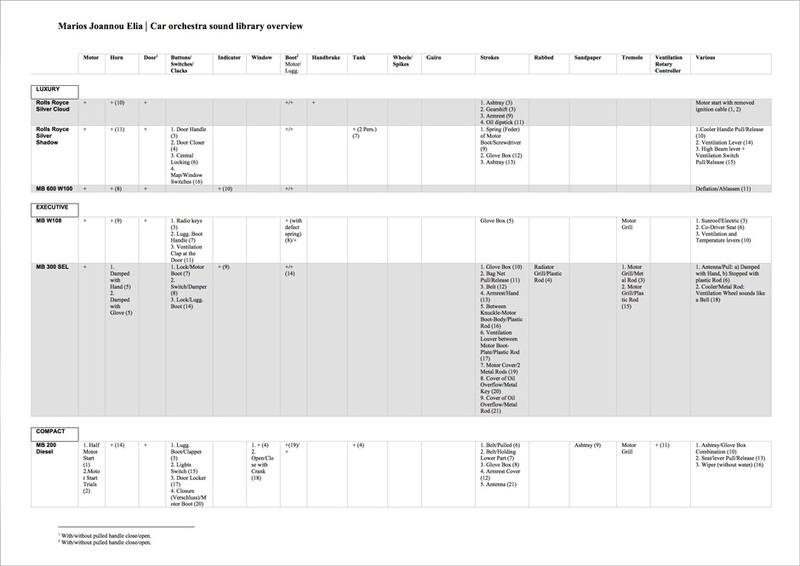 There were 14 sub-conductors and coaches. 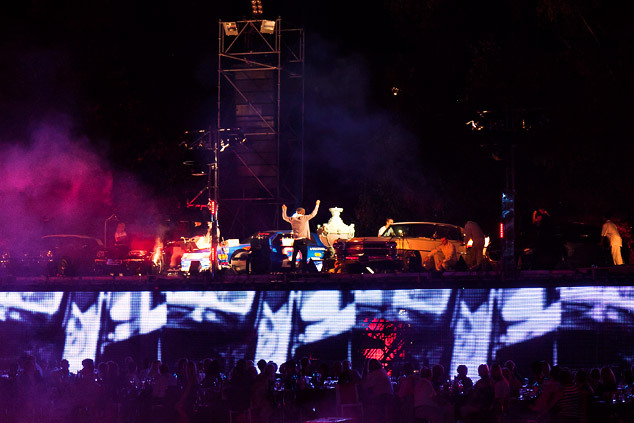 • The cars were musicalised within a complex synthetic system – in a dynamic interaction with a full symphony orchestra, choir, percussion octet and electronics. 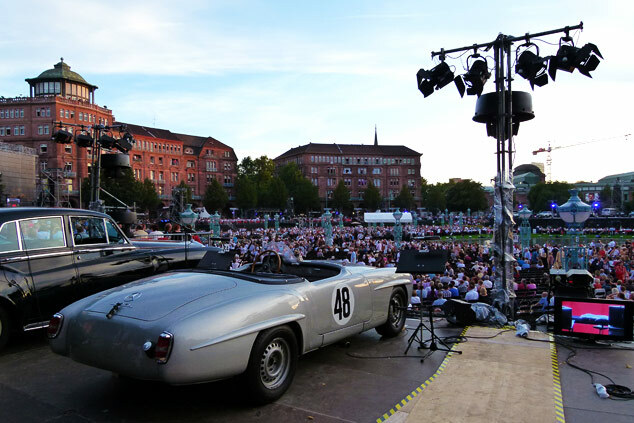 • 20, 000 people attended the open-air premiere – at Mannheim’s Central Square, Friedrichsplatz. • Wins First Prize for Innovation and the prestigious Golden Apple in the category EVA “Public Event” of FAMAB Germany. 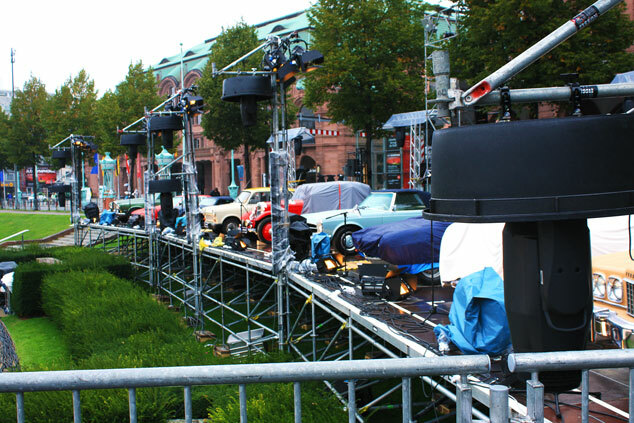 Around 120 cars were cast for the automobile orchestra. 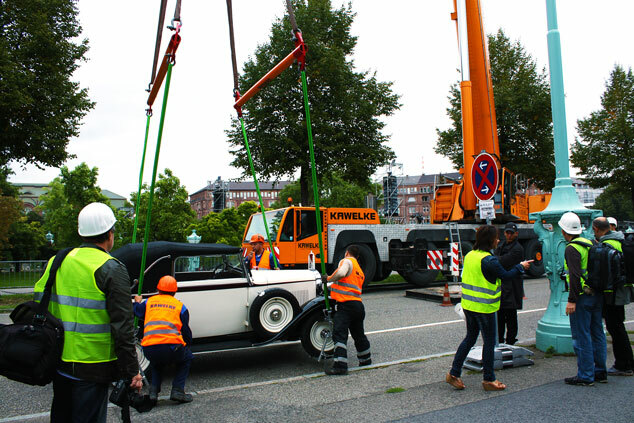 They ranged from trucks and lorries to buses, from old-timers to modern limousines and from tractors to sports cars. 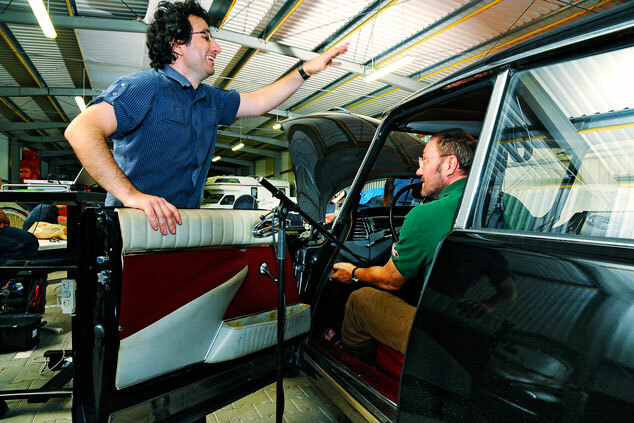 Ranging from different sizes, years and horsepower, the automobile orchestra was a cross-section through time and models of the many various types of vehicles that have been produced since the manufacture of the first car. 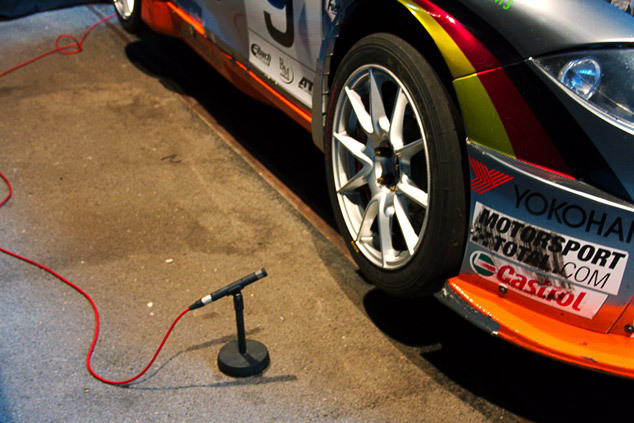 The sounds created were not just pounding on the cars like a drum but rather the unique immanent sounds created by the car itself. 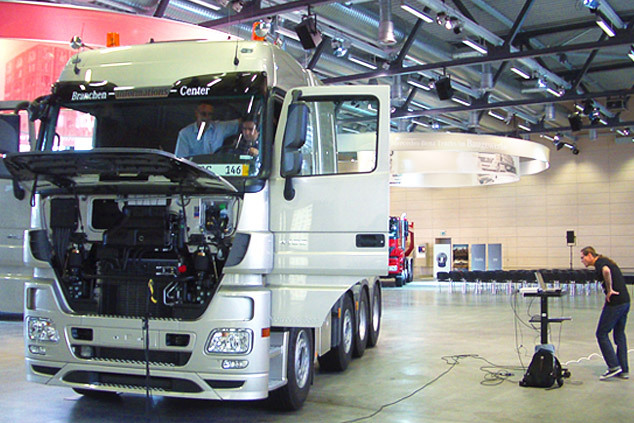 The sounds should be, for example, of stalling or regular sounds from the engine, the sounds made by the interior buttons and switches, the fire extinguisher, the glove compartment, warning lights, opening and closing of the fuel tank cover, the tyre and hydraulics, the electric antenna and exterior mirrors, the electrical beeping of the parking warning signals etc. 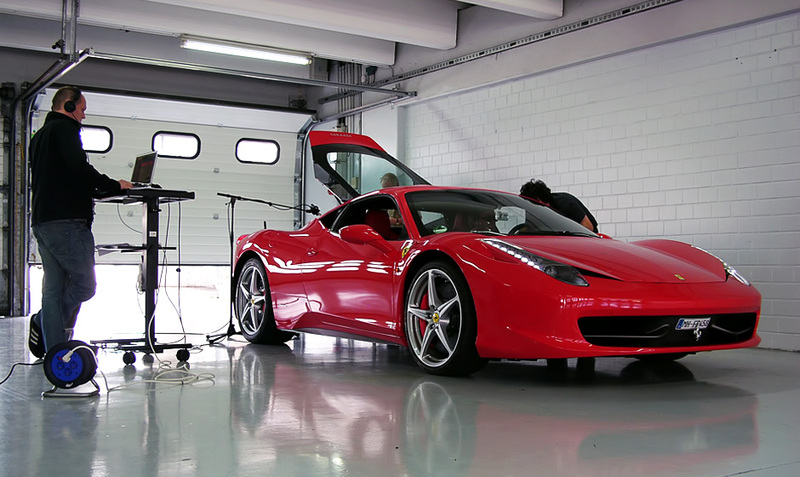 Some cars could create five different sounds and others as much as up to 35 different tones, depending on the choice of the composer. 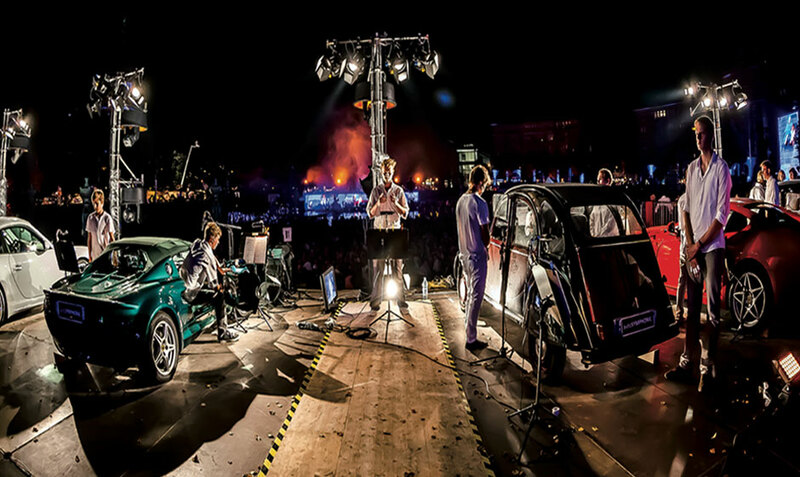 The performers employing the cars were young people, some amateur drummers, others without any previous musical backgrounds, who had taken part in a one-year percussion workshop training to prepare for this event. A total of 275 schoolchildren from grades seven through 13 were cast for the parts. 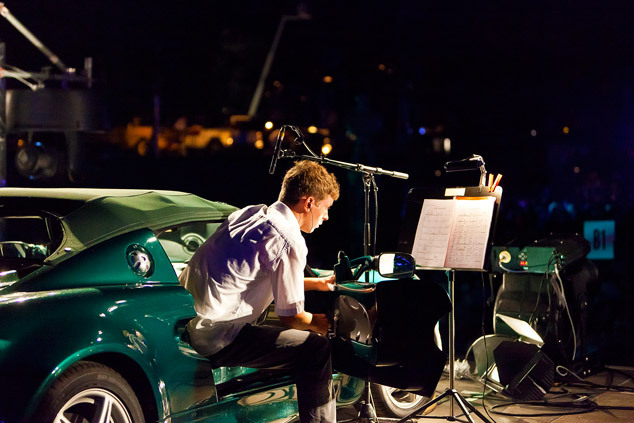 This unusual idea of using a car as a musical instrument was really popular among the young people. 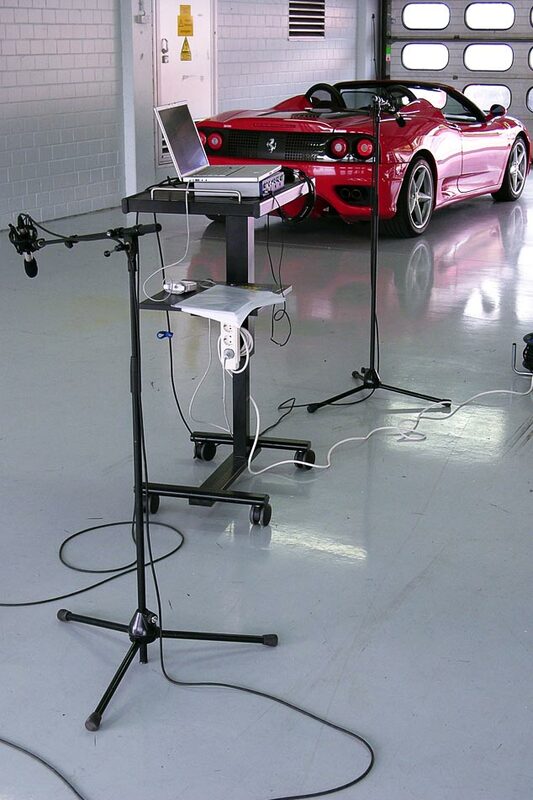 The car voices were developed based on the realistic musical potential present in the young participants. Following their differing possibilities, two categories were formed: solo (with a high complexity) and groups – an interplay between individuality and collectivity which varied from movement to movement. 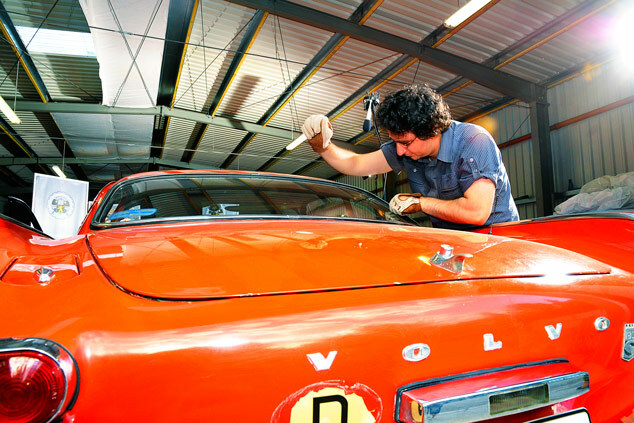 More than 120 vehicles were cast by Marios Joannou Elia within a period of ten months. 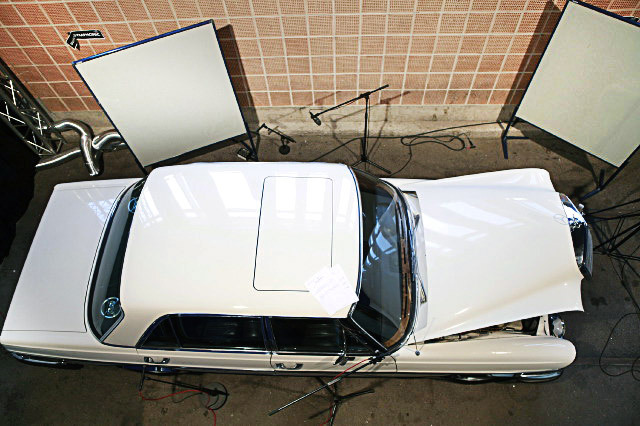 Each one was separately scrutinized, and all extracted sounds – up to 35 from a single car – were meticulously documented (recorded by a sound engineer, filmed and photographed). 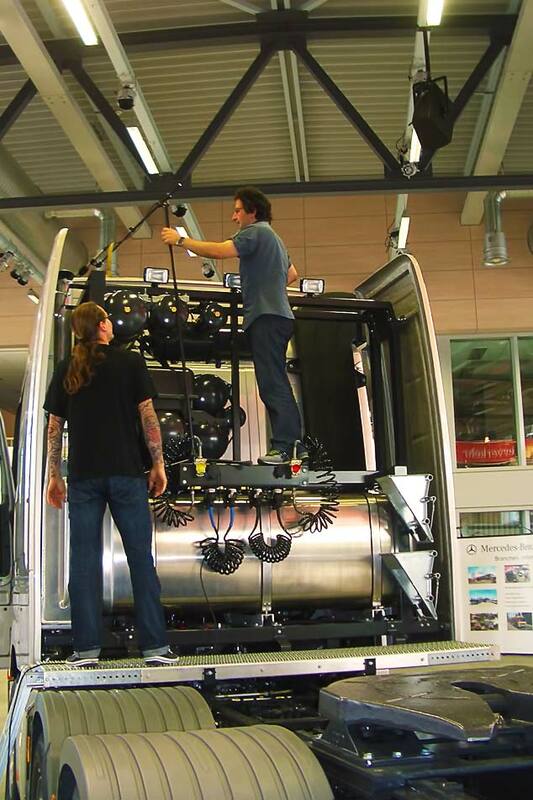 During the casting, Elia analysed in great detail, the playing technique, tempo, articulation and loudness of each individual car element to decide which ones could be employed in the performance. 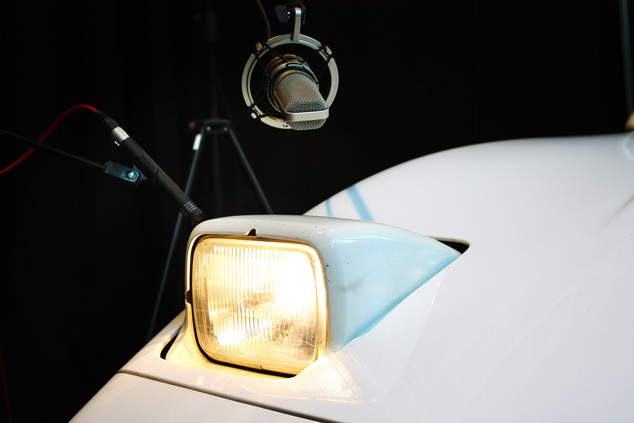 After the car-castings were completed, Elia evaluated all recorded sounds in a studio. The tone frequencies were also measured. 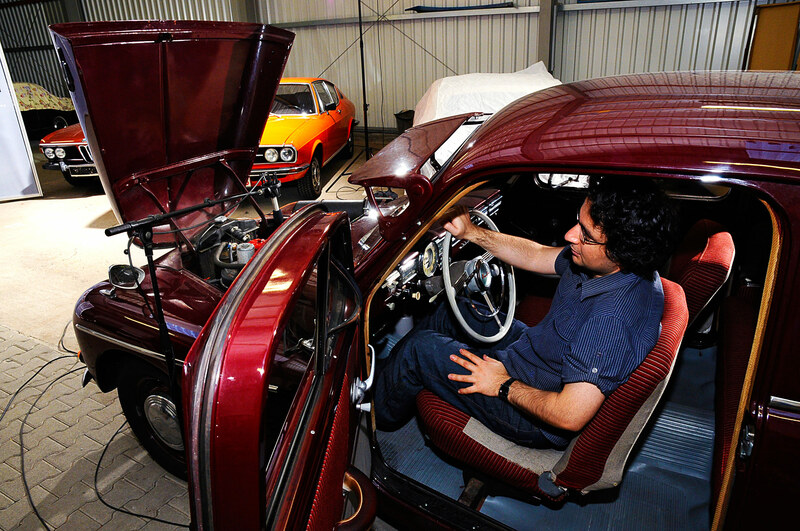 Based on their qualities and individual characteristics, he chose 80 vehicles, including representatives from the entire history of the automobile. These formed the car orchestra. 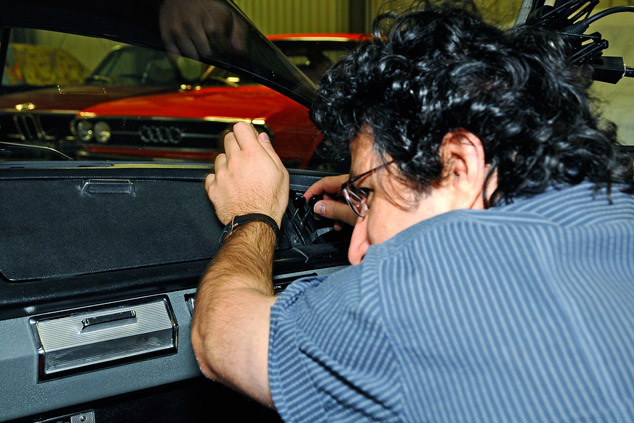 Approximately 800 car sounds are found on the score. They were recorded in a professional studio which was especially built for this occasion, thereby providing aural guidance to their performers. 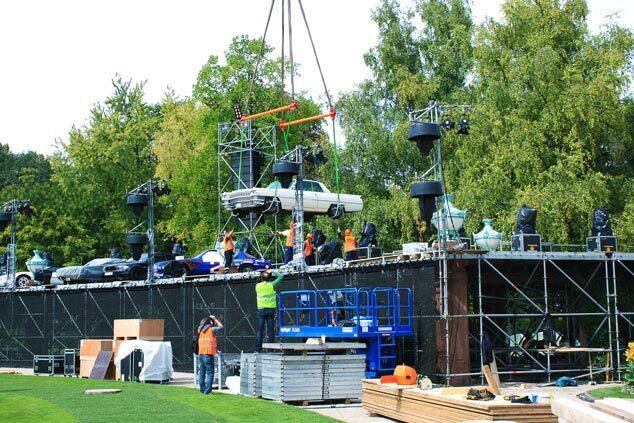 Due to the colossal size and 360-degree setting of the “concert stage” on which the 80 cars were positioned, the “playing” of each automobile part was visibly impossible to be followed completely by the audience. 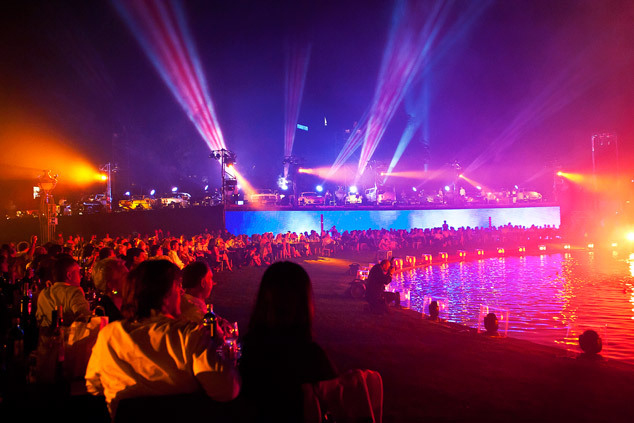 Therefore, as composed on the score, a series of playing actions were pre-filmed, in order to provide support to the visualization of the music during the live performance. 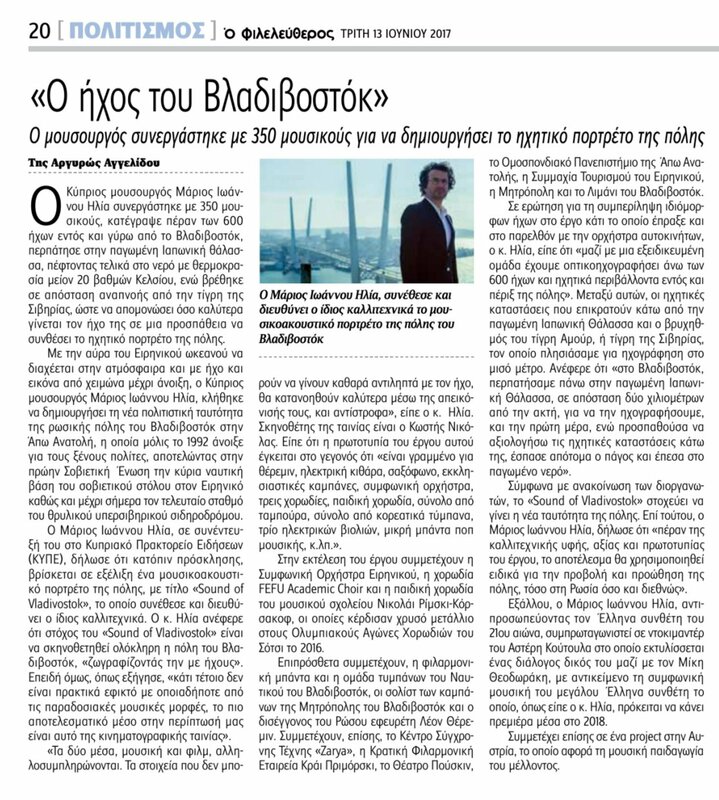 Interview with Elia at DeutschlandRadio – Kultur: “Engines as Melodies, Horns as Trumpets” (orig. “Motoren als Melodien, Hupen als Trompeten”), by Ushi Götz, in German, 8. Min. 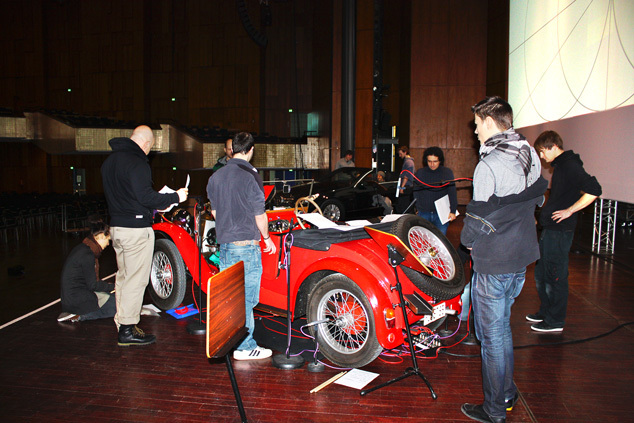 The cars are scored either solo (featuring a single car element), in smaller groups or orchestral tutti. 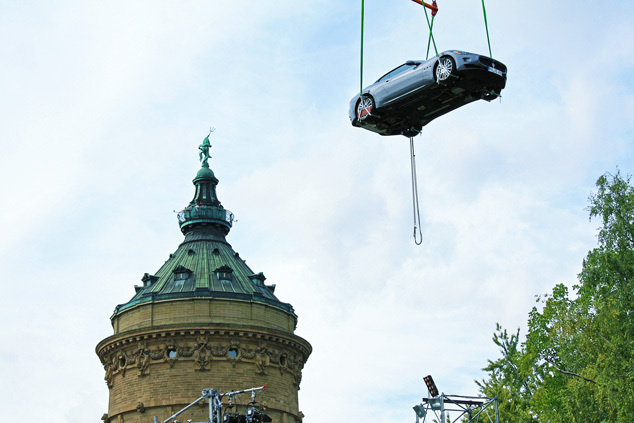 Rehearsals began at first on percussion instruments, then on simulative utensils and finally on cars. 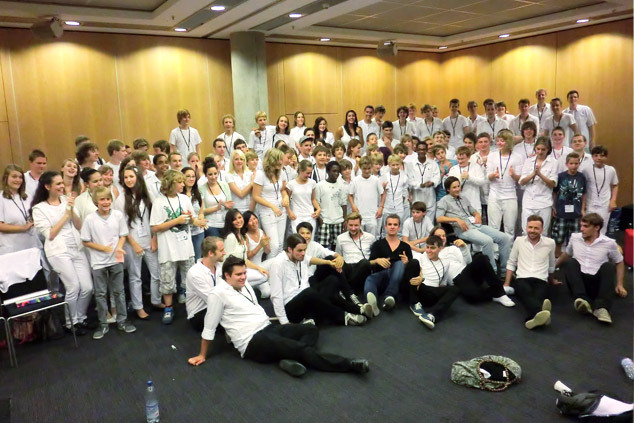 In total 120 youths and 14 professional musicians took part in this one-year preparation process. 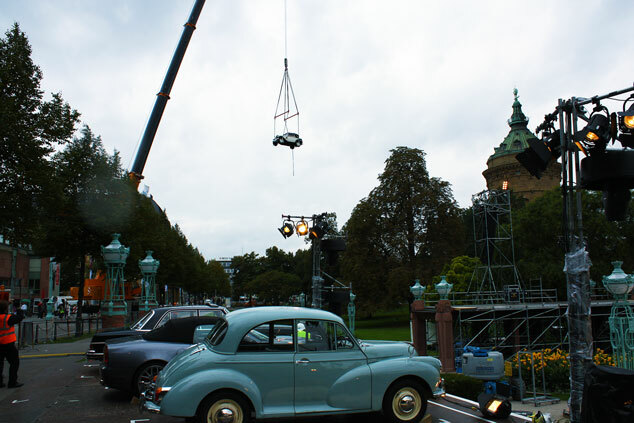 Two gigantic cranes brought the cars – ‘flying’ – on stage. 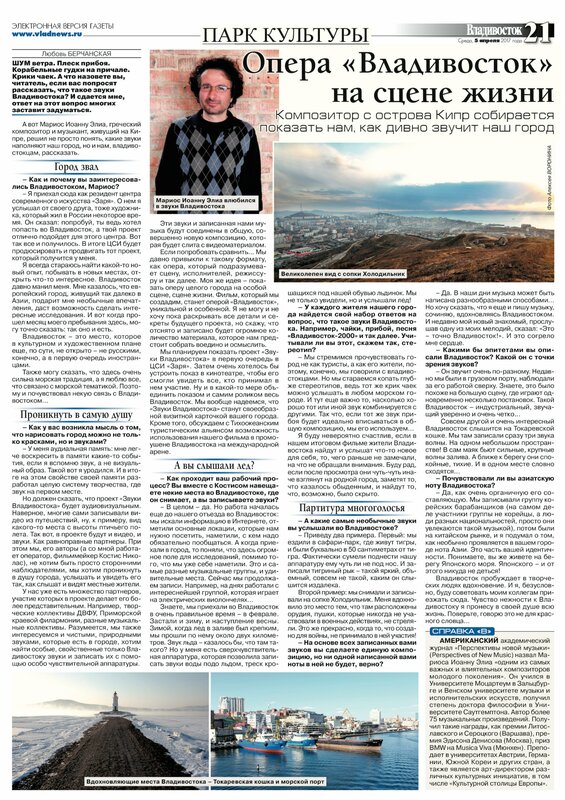 It took three days for this process to be completed. 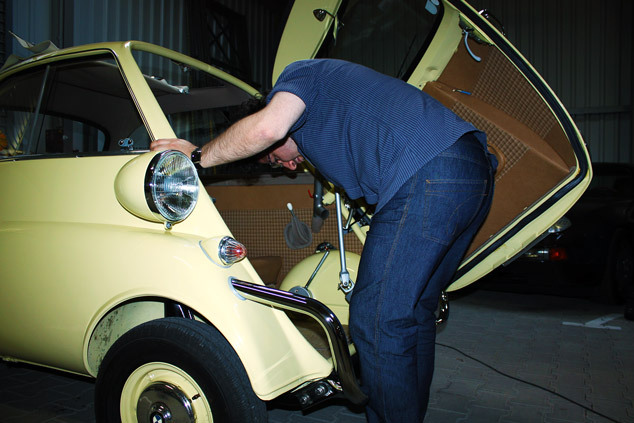 It followed the microphoning of every car. 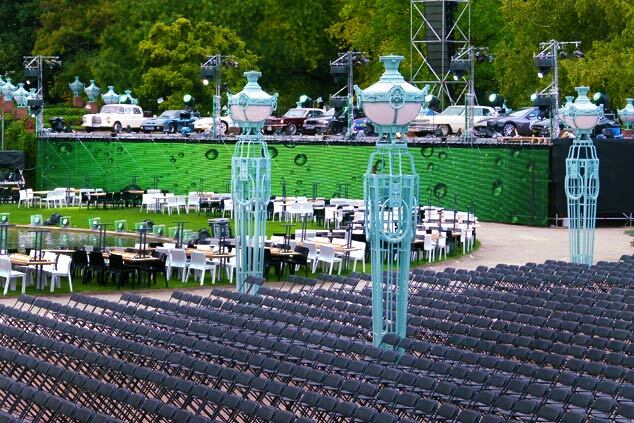 The 360-degree sound projection required a 14.1 surround system, 296 loudspeakers and 215 microphones. 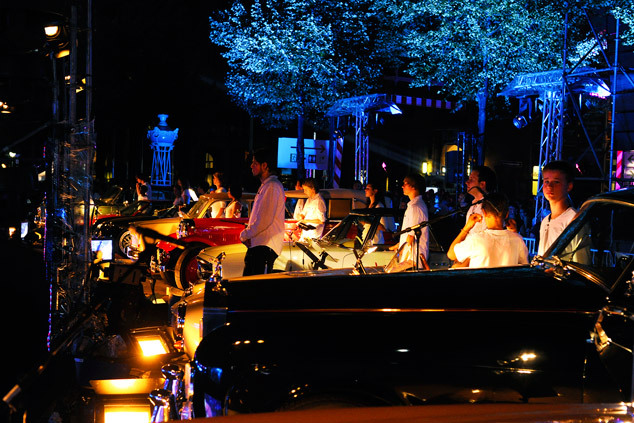 The cars appear from movement six through to movement nine of the symphony. Initially this occurs soloistically and sporadically. As the symphony unfolds, their acoustic presence becomes more and more intense. They are positioned on six different stages, in groups according to their activity level on each movement. 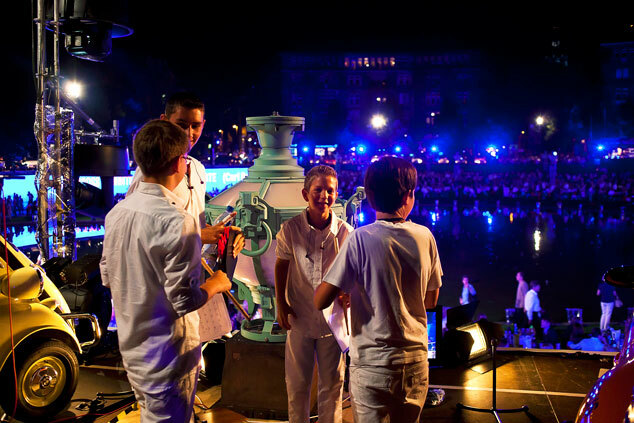 The three main stages are found opposite the orchestra and choir; the others embrace the rest of the Friedrichsplatz Square. 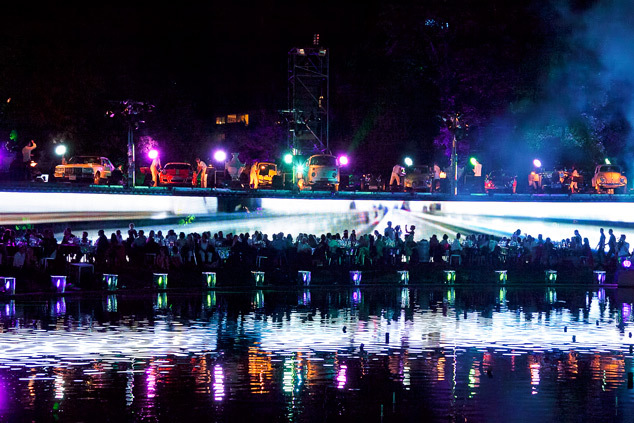 This effects a holographic sound presence, an ‘arena’ of musical activity. 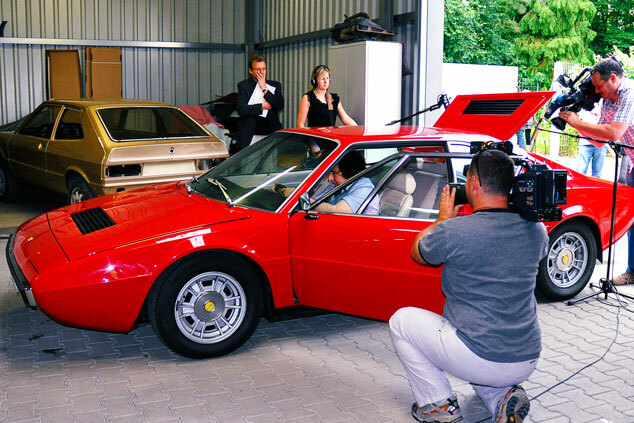 When we today look at the cast of car voices we will see that there are 80 listed, everything from a 1904 Dion Bouton and a 320 HP Ford Thunderbird to a brand new 40 Ton Truck and an Actros from the Daimler collection, from a lightning-fast Ferrari with high musical notes soaring skywards to the ancient Lanz-Bulldog Tractor, whose three rotations a minute could produce a convincing basso continuo. 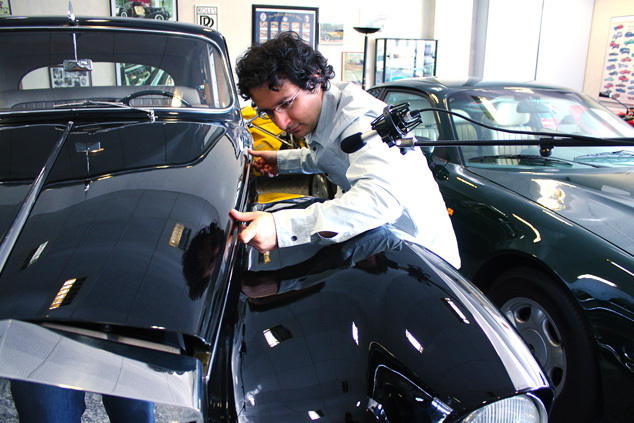 In short the repertoire of vehicles used was as diverse and impressive as the multifaceted sounds created by them. 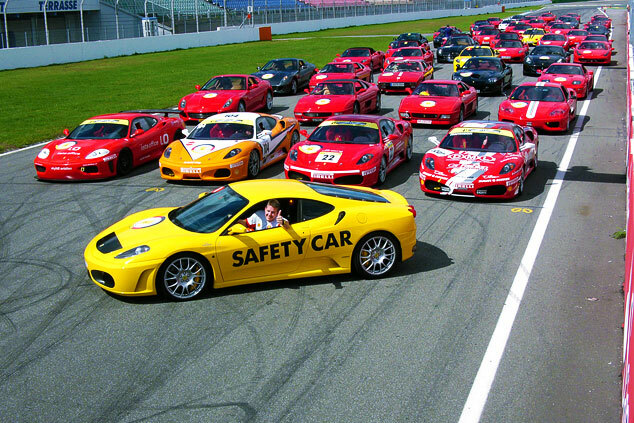 According to the concept it was no easy thing to select the cars. They should not be used as drums to be pounded (proud and caring owners would not allow this) but rather the car should remain constantly in the forefront, the vehicle itself should be immanently performing, starting with the sounds of the engines, tyres and hydraulics, the clanking of fuel caps, the winding up and down of windows and ending with electrical beeps of the parking sensors. Hark the herald above you! 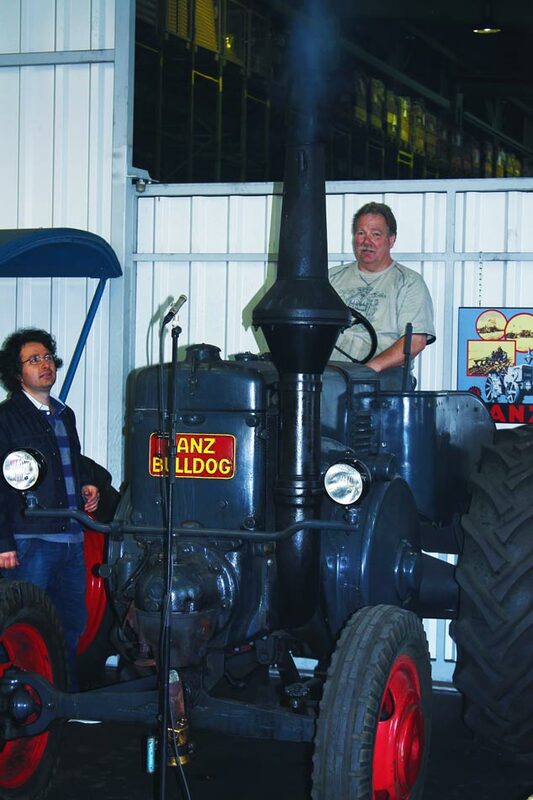 Do you hear the powerful roar of the simple engine circling high in the air overhead? 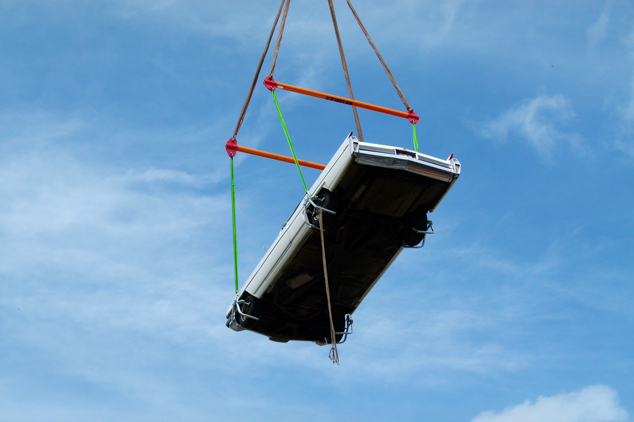 That is the resounding of wings flapping in a new era, the cultural age of the motor, where man takes dominion, moving up over space and the earth triumphantly leaving earthly heaviness far beneath him. The inherent chains of space have been stripped off. An age-old dream has become reality and been fulfilled: Oh no physical wings can compare to the magnitude of the wings of the mind! (Faust). Man has taken flight. 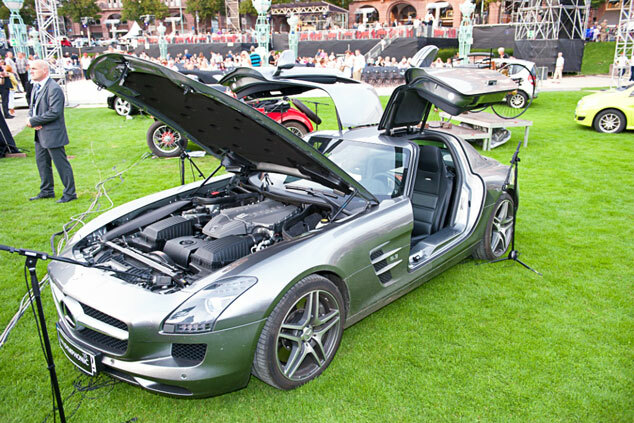 (Carl Benz) . . .
Polymediality is what Elia has called his concept of composing: on the one side you have the musical work itself which integrates non-musical elements or elements that do not traditionally belong to the field of music into it, which thereafter become essential to the composition itself and on the other side you have the staging, the performance whereby the composition unfolds in all inter-connected art forms. 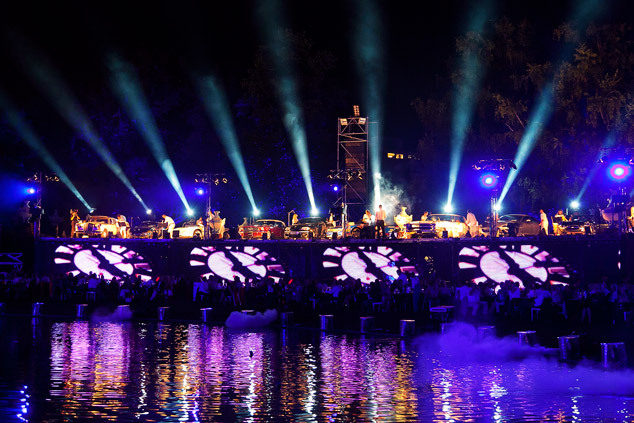 It is not music which is performed but a performance that has music integrated into. The former is quickly incorporated in AUTOSYMPHONIC – the sounds produced by the cars communicate directly with the tones and sounds produced by the orchestra, partially in analogies and in imitation and partially in the mixture of sounds and tones. 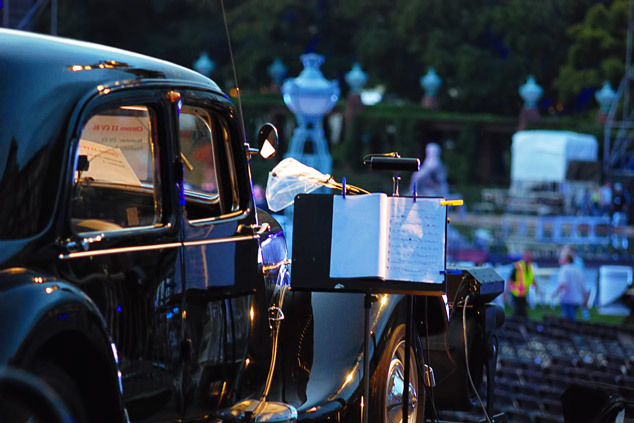 The mechanical sounds are totally separated from those of the orchestra and the vocals. 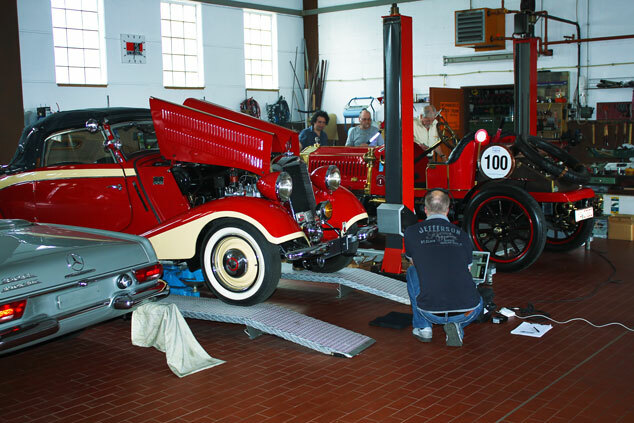 The cars are treated just like real musical instruments, they are, and with so many machines one can dare to say, played by the members. They are even noted as instruments (when looking at the musical score one notices that the automobile tones for the most part have the same expressive Italian markings which are used for all other instruments in the traditional orchestra), are sharply defined and have a clear rhythmic definition.